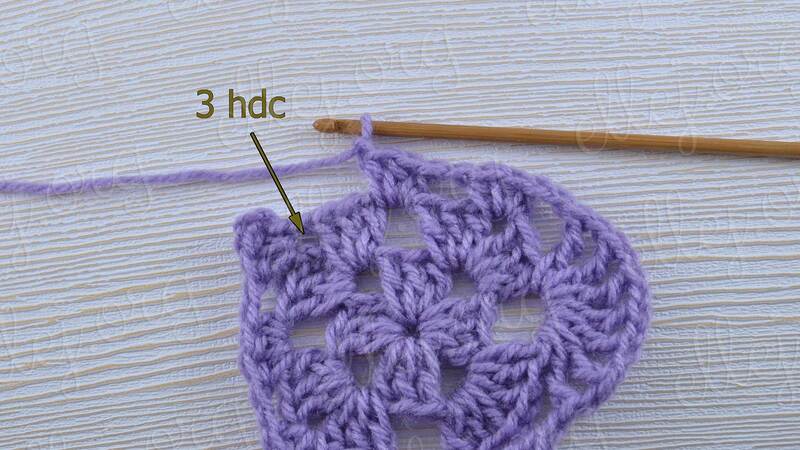 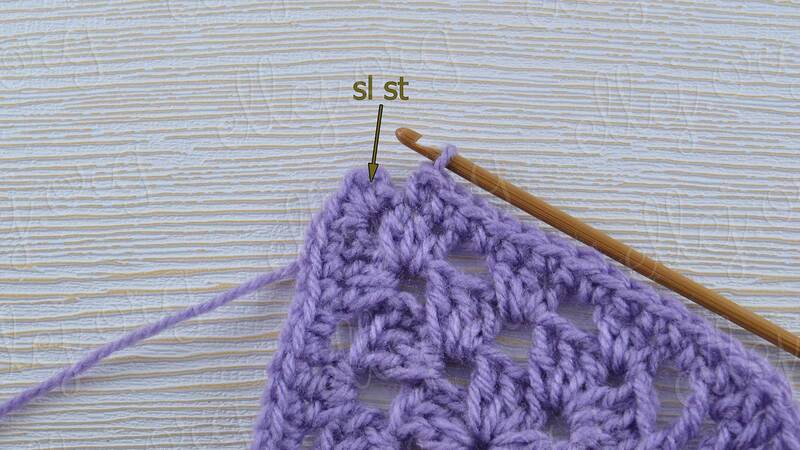 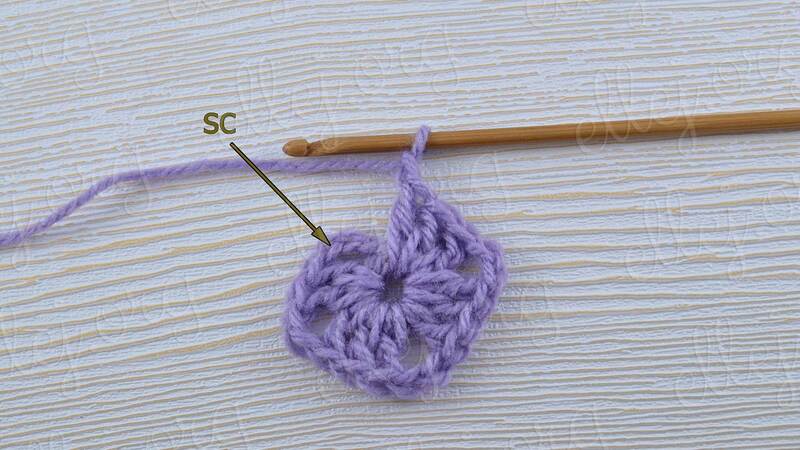 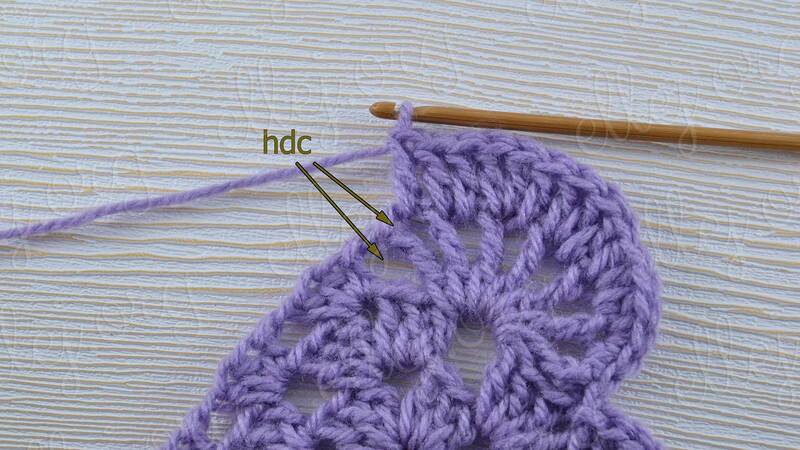 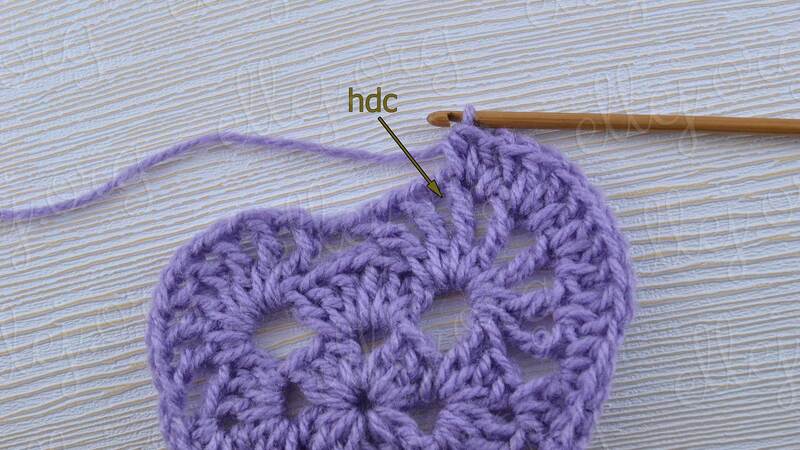 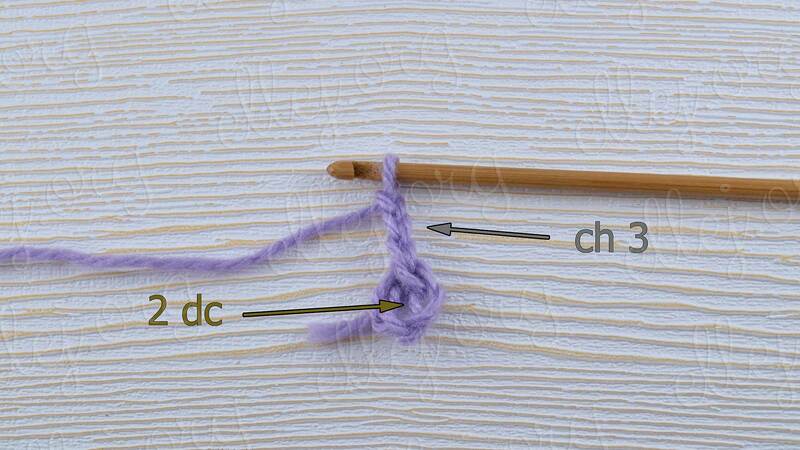 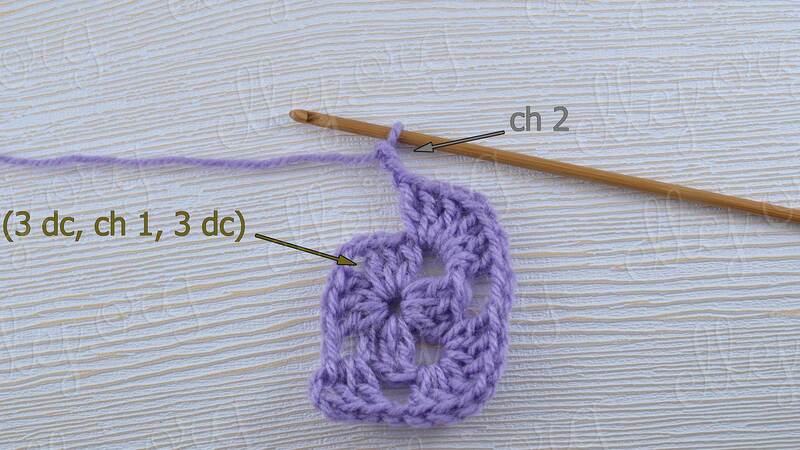 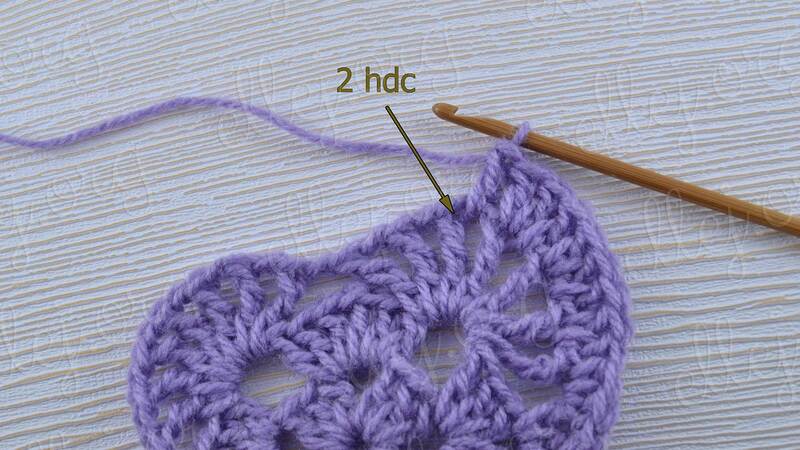 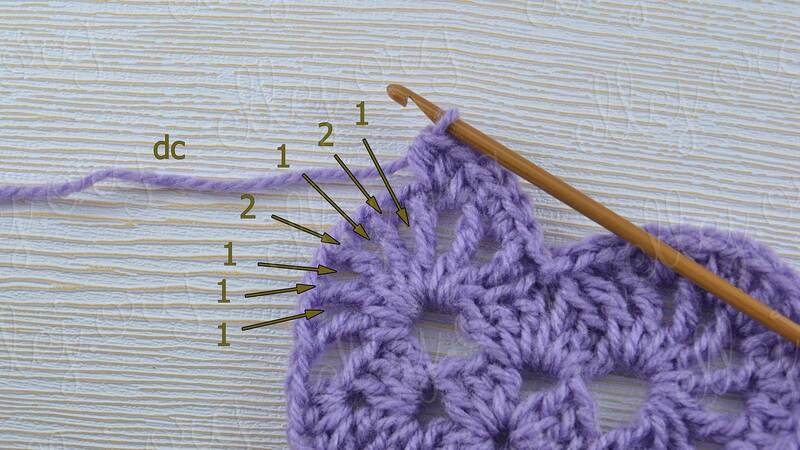 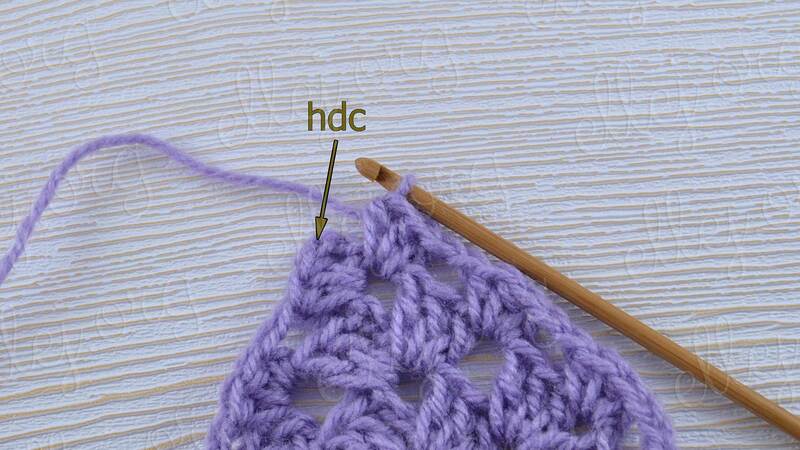 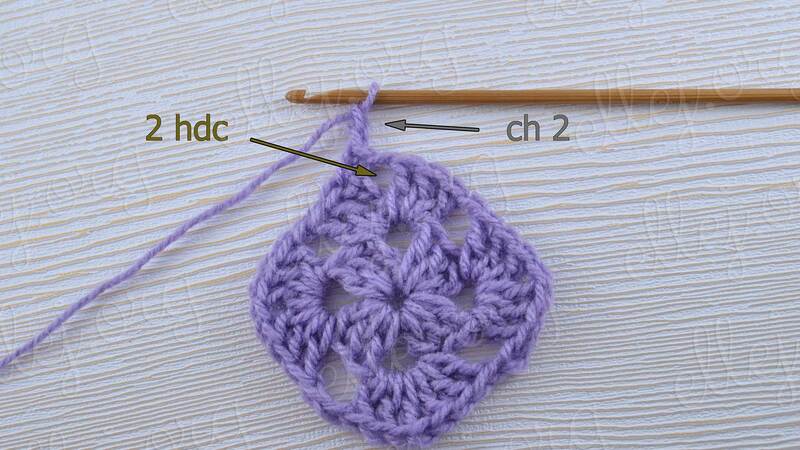 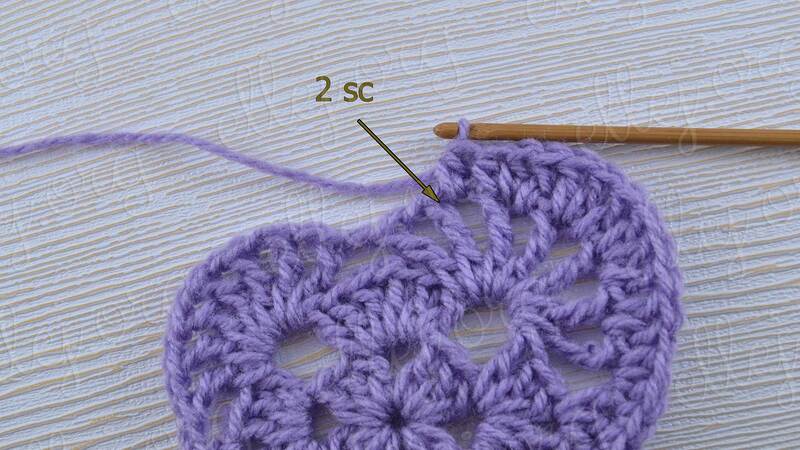 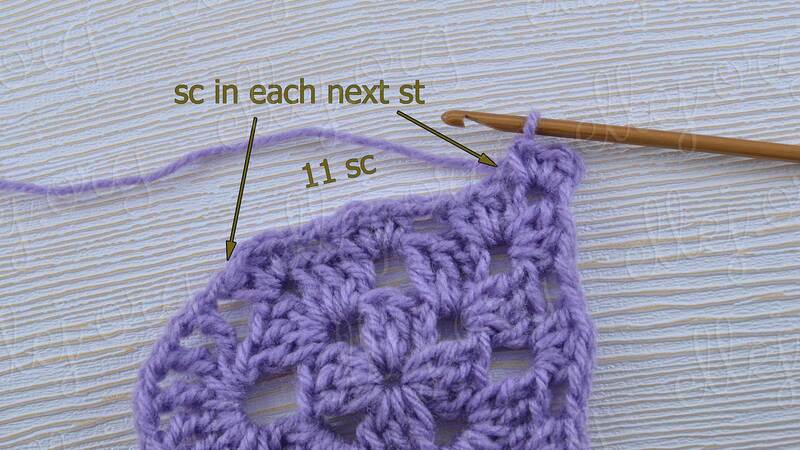 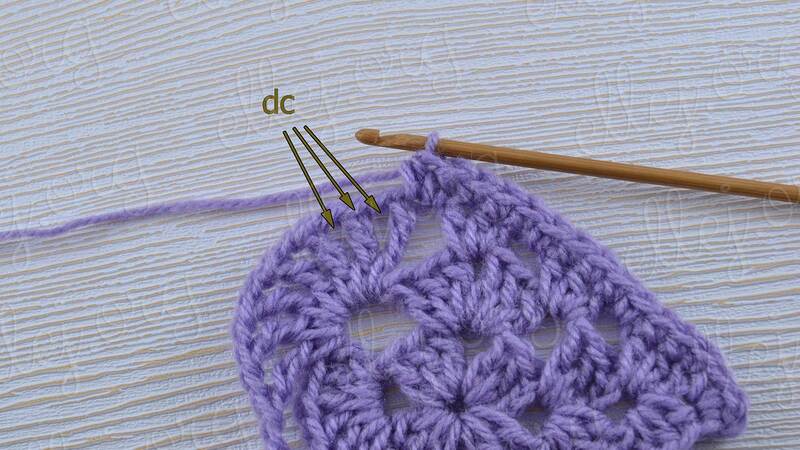 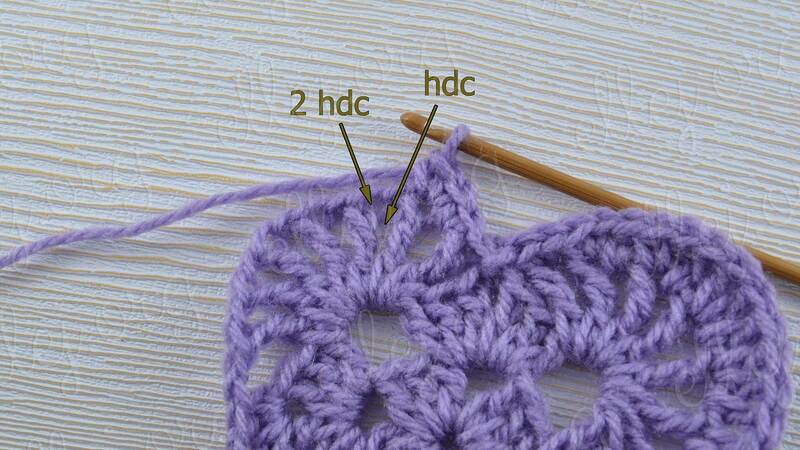 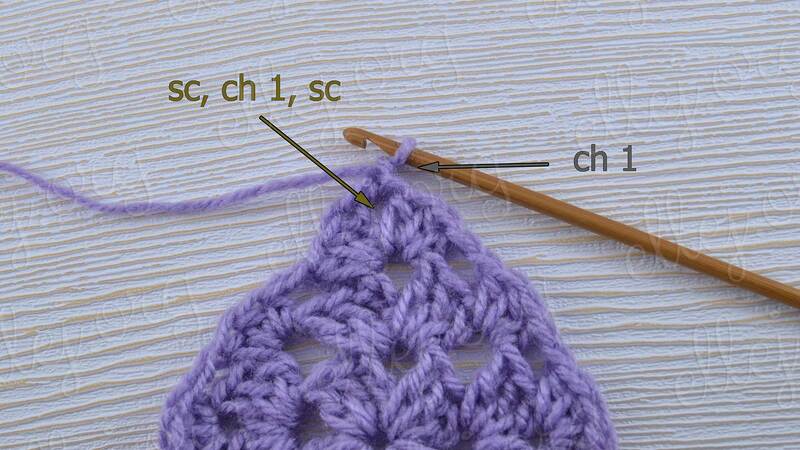 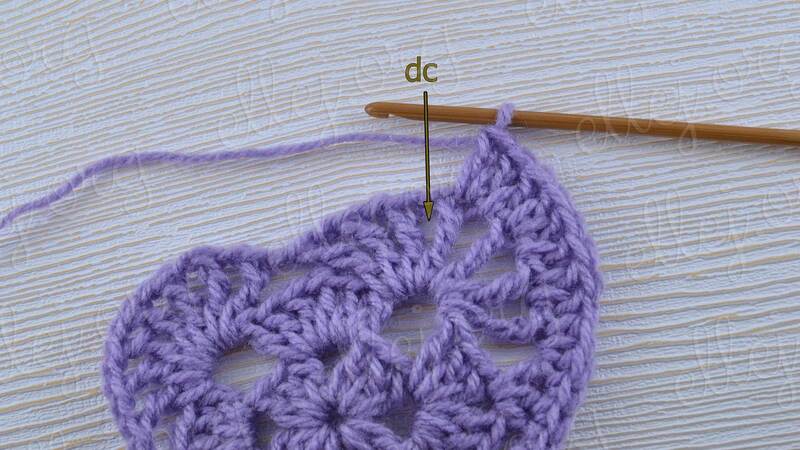 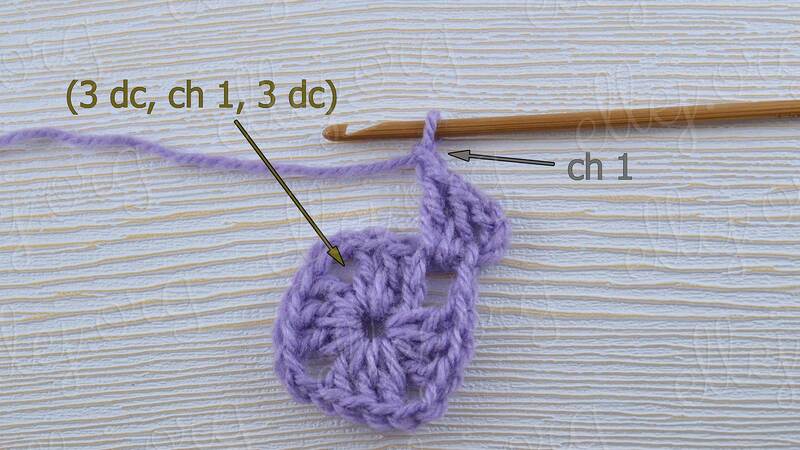 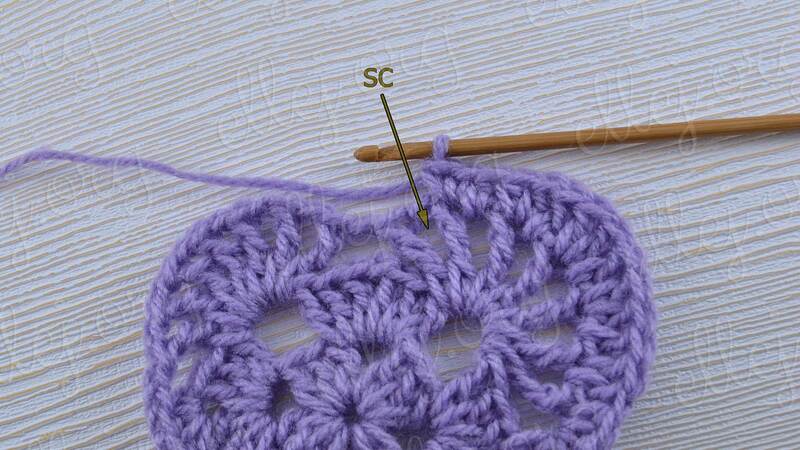 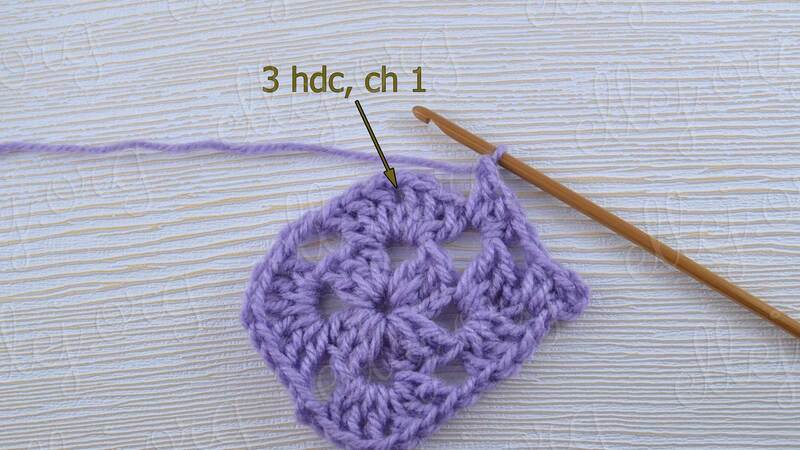 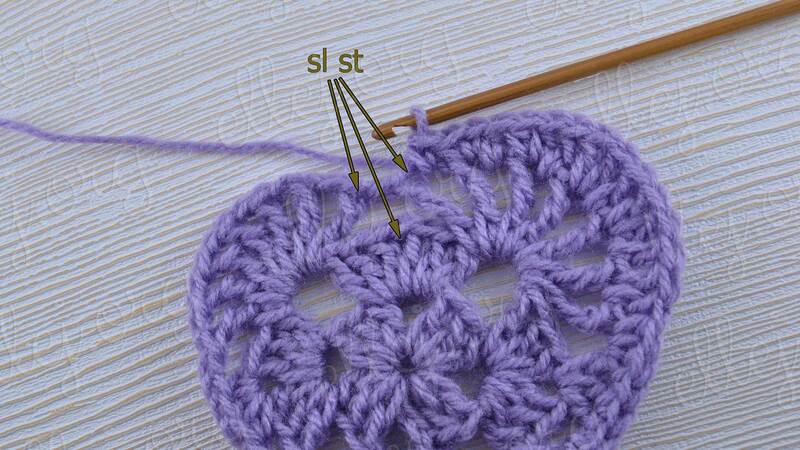 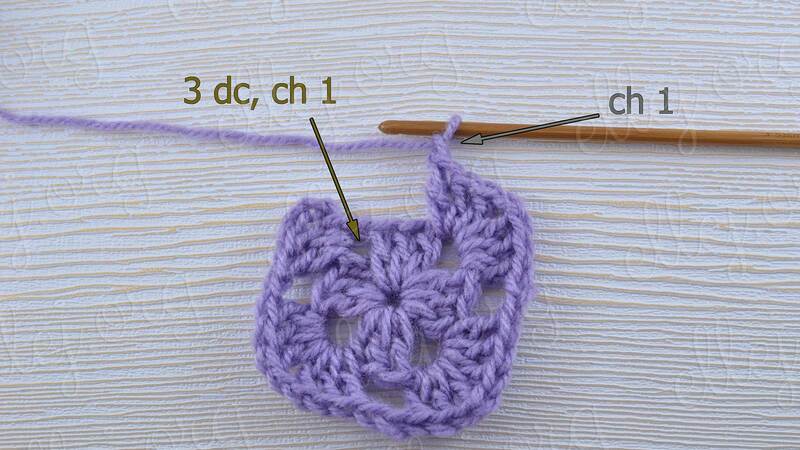 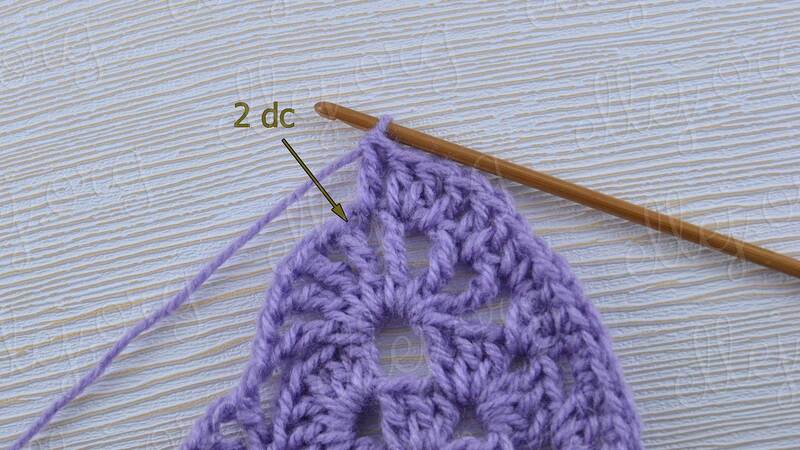 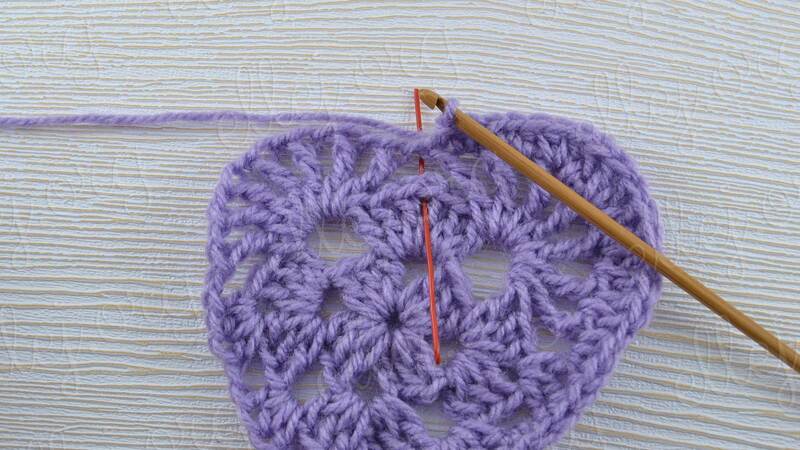 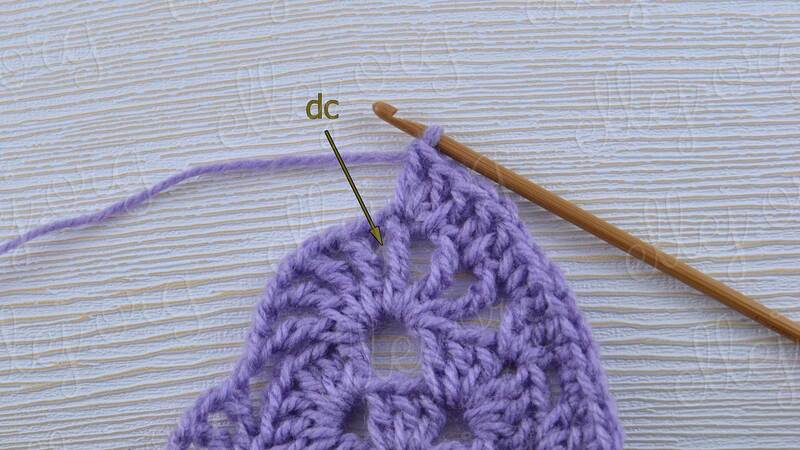 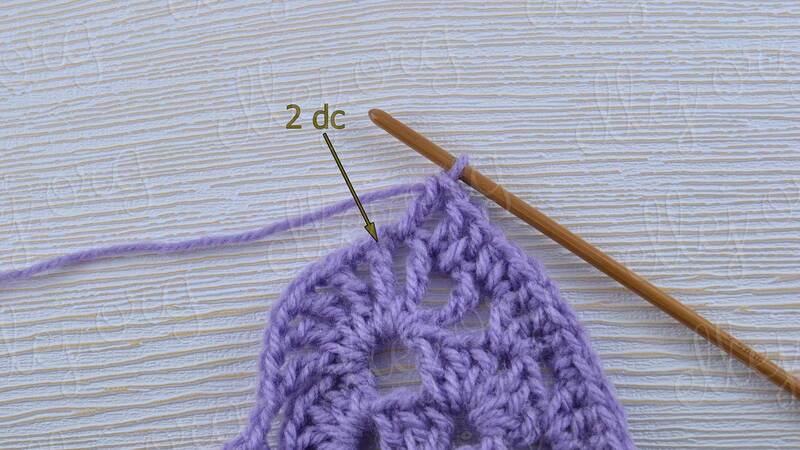 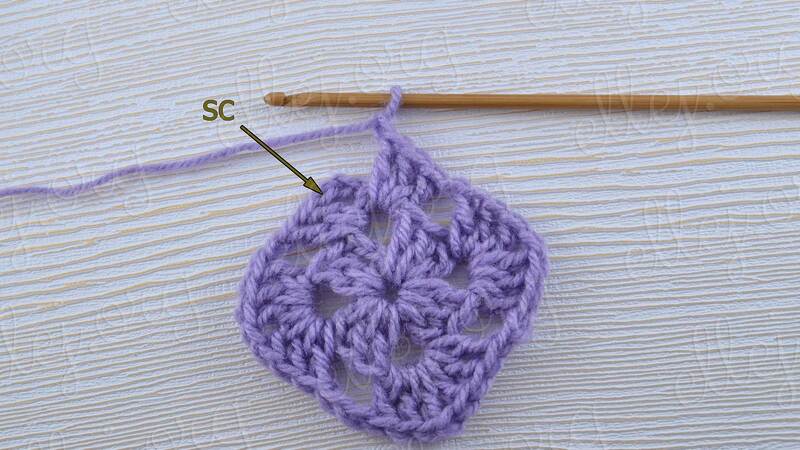 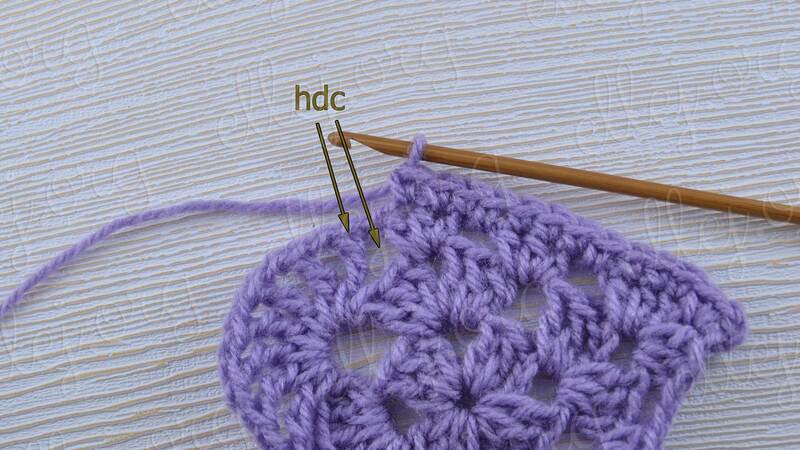 Today I will show how to crochet Heart Shape Motif. 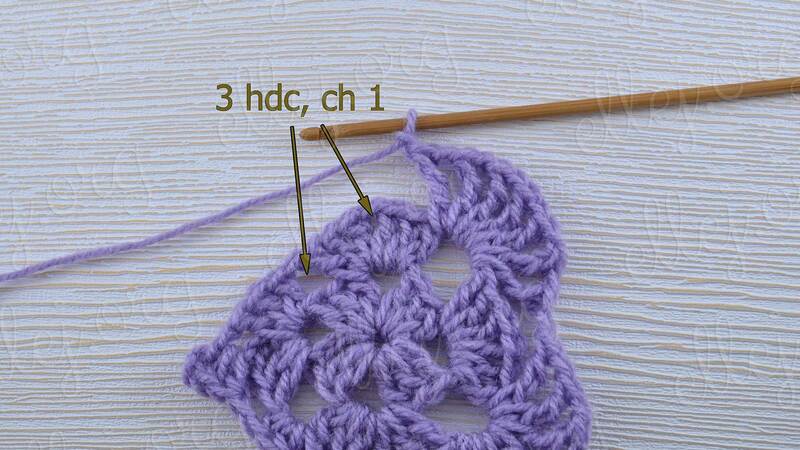 Usually hearts work closer to the Valentine’s Day, but we start early to crochet the whole garland! 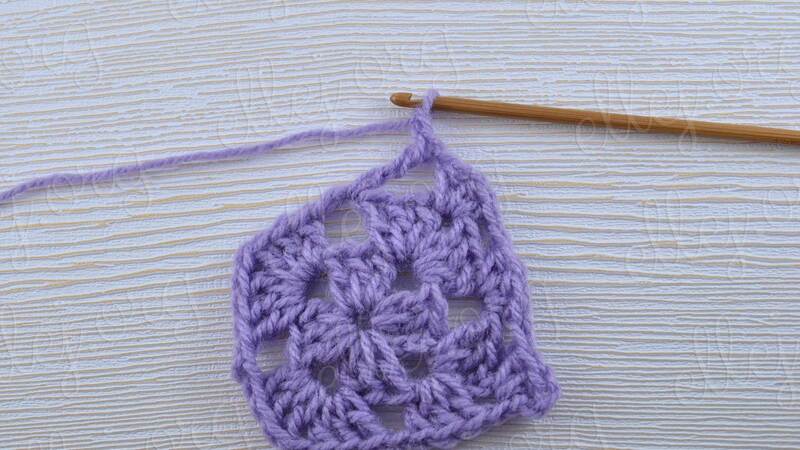 Classic Granny Square at the base of motif. 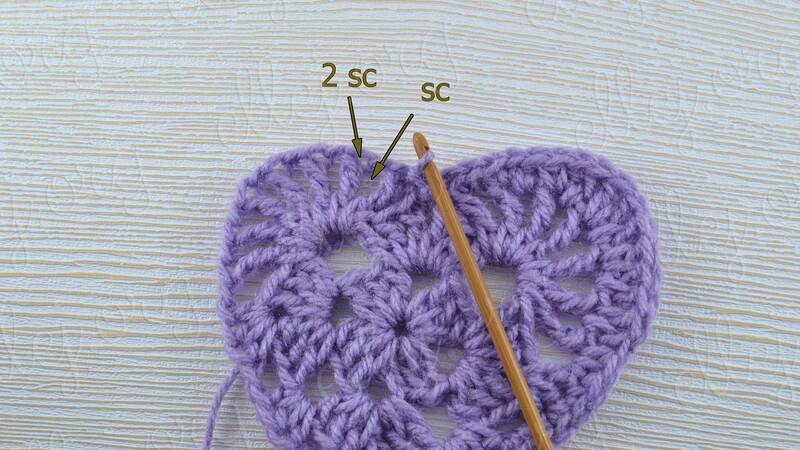 So it is called Granny Heart Motif. 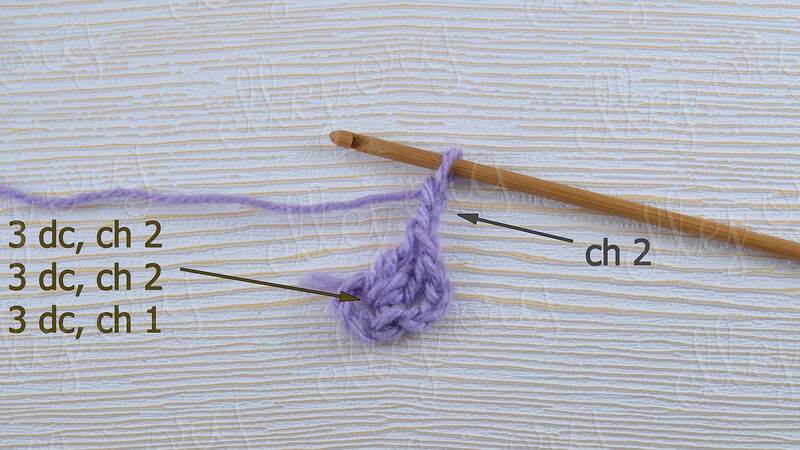 If you take the red yarn, you get a Small Red Heart. 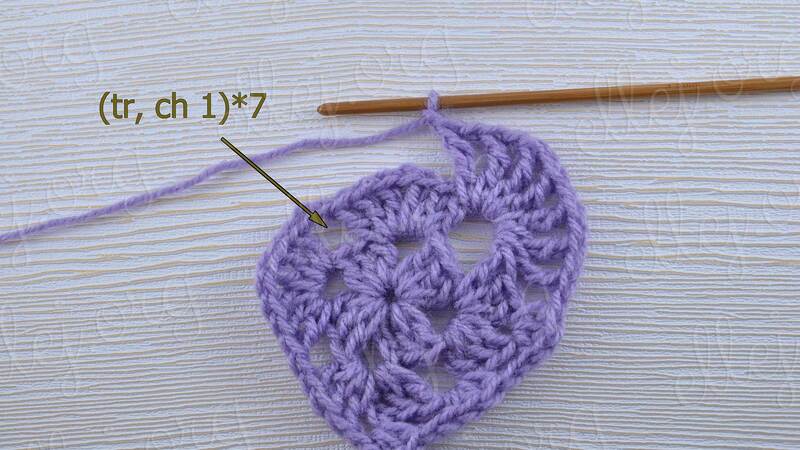 The shape of a heart, it becomes when we crochet last two rounds. 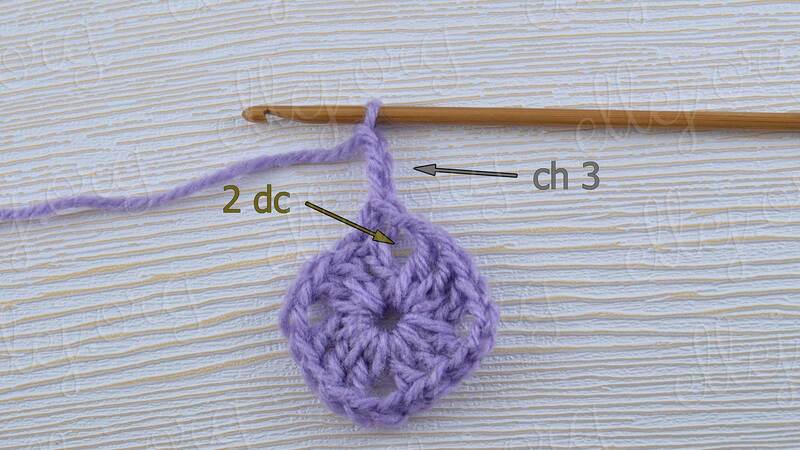 Start working can be with closed chain in ring, or adjustable-ring, as you wish. 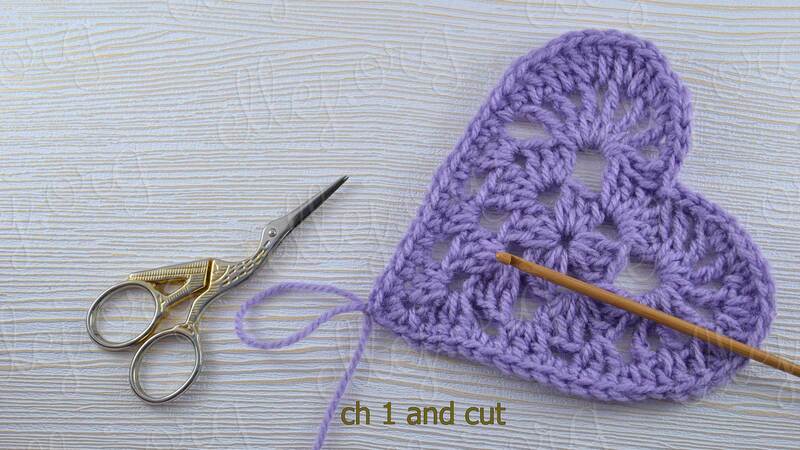 The Heart Motif can be used as a doily or any decorative purposes. 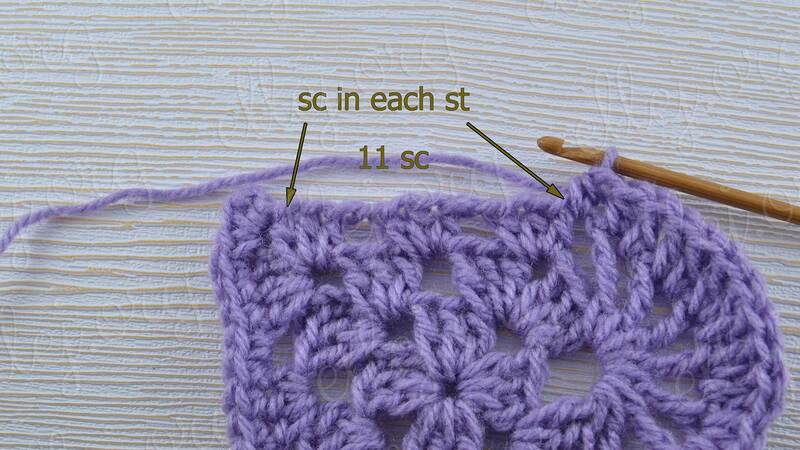 The size of motif will depend on the thickness of the yarn and hook size. 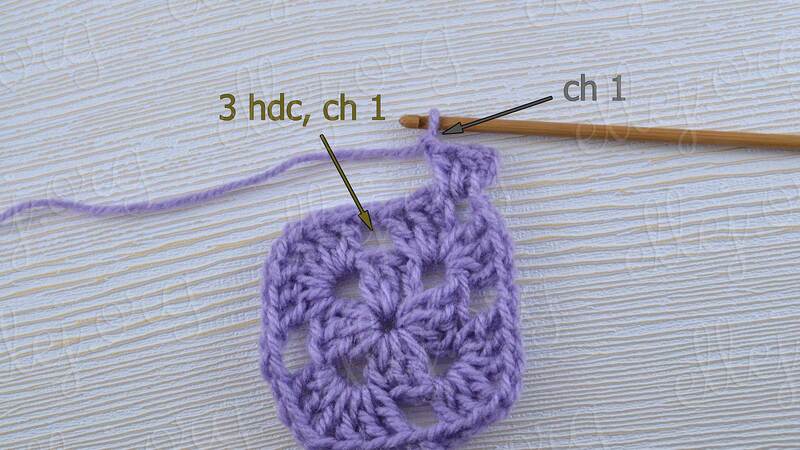 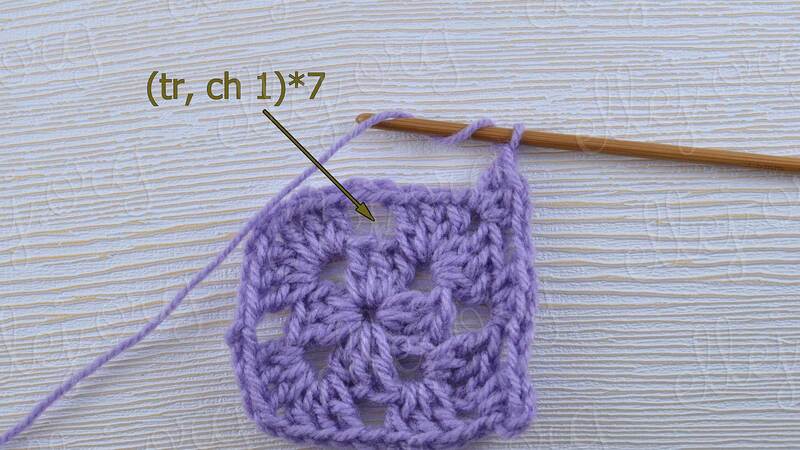 For experienced crocheters I suggest color Crochet Chart of motif. 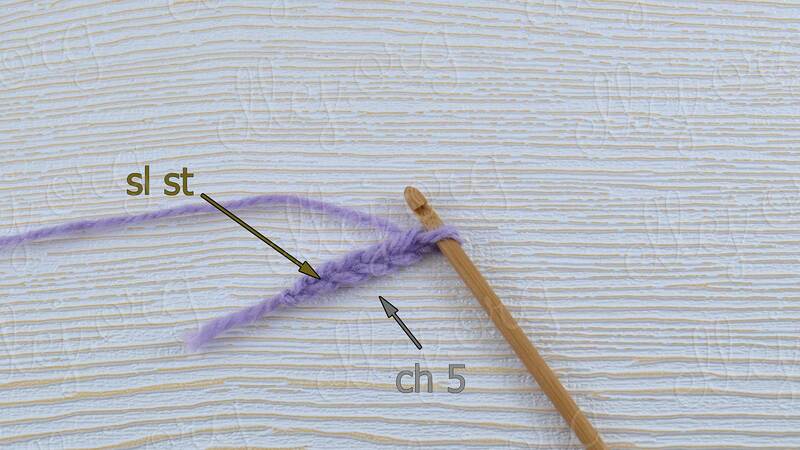 And for beginners Photo Tutorial with descriptions. 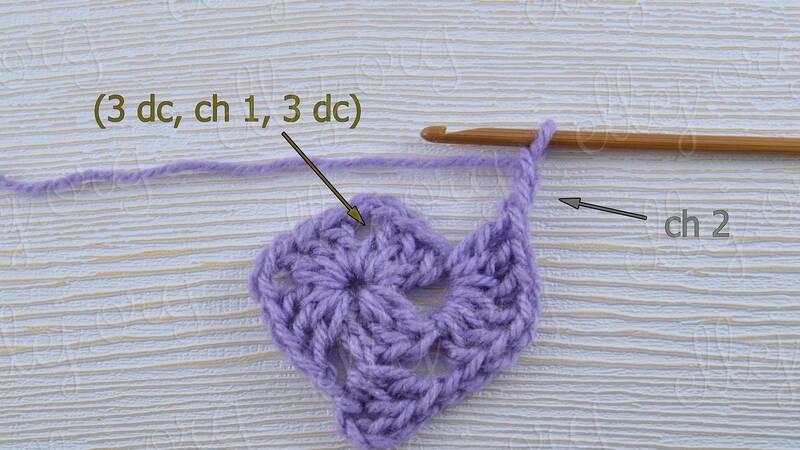 Click on the Ravelry logo to add Granny Heart Motif in your projects.